Just as you would not go on an expedition without preparing carefully with a map, supplies, a lay of the land and a series of other things, you don’t want to underestimate the preparation you’ll need before you begin a negotiation with an insurance carrier. For this post, I’d like to talk about the things you may want to consider even before you decide to call an insurance company to negotiate a contract. Before doing anything else, it is important to run several reports to understand where your practice stands. Conduct a payer analysis that calculates what percentage you get back for every dollar you bill as well as what percentage of your practice’s income comes from each payer. Below is an example of how a report like this might look. Not only will this report help you determine how many cents on the dollar each carrier is paying while comparing them to each other, the data lets you know with which health insurance company you should start to negotiate first. One could start with the payer that pays you the least or the payer that is the least amount of your practice’s income. This calculation will also help you understand what is at stake if the negotiation goes sour. For example, let’s say Cigna is only 5% of your business and that 5% represents $50,000 in annual revenue. If you decide to walk away, you at least know how much you will have to make up in revenue. Next, search for the practice’s top CPT 25 codes and sort them by frequency. The frequency is an important number to have because the insurance company may give you a generous increase on a procedure your practice may not do that often, but then decrease payment for a code that your practice performs often. Average Payment by Carrier (let’s not call it reimbursement, please). You need to know where the carrier stands compared to other carriers. This is the equivalent of doing a market research of the area when you are selling your home. You want to know what others have paid for similar homes as yours so you don’t price your house outside the market. By knowing what each carrier pays for your top CPT codes, you will know what the average payment is. The average payment for a CPT doesn’t necessarily have to be a goal, but a point of reference against which prices can be compared. Keep in mind that this post doesn’t include all the steps required to negotiate. But the idea, for those that haven’t done this before, is to give you an idea of the work required before you actually start the process. Negotiating with a payer can be a daunting task. The process is arduous and can take a very long time. After all, the insurance company really doesn’t have an incentive to pay you more. So you must do your homework and have pertinent data, clear expectations, and a patient disposition if you want to make any progress. Costs in physician practices keep rising, and reimbursements don’t keep pace. Decreasing and preventing denied claims is one strategy that pays off in increased cash flow, increased revenue and less work. In this webinar, you will hear how to stop denials in their tracks: to assess denial rates in your practice, how to investigate the cause of the denials and how to prevent denials in the future. A denied claim means money delayed, or worse, never collected. The practice has already incurred all of the expense to provide the service, but has not received payment. Some payer denials are literally out of the practice’s control. But many denials occur because of errors the practice made in the registration or verification process, because of incorrect coding, and due to claims submitted beyond the filing limit. In some practices, no one is reviewing the clearinghouse edit report and correcting claims, leaving charges in suspension. In some groups, an insurance denial is accepted and written off, rather than investigated and appealed. This session will describe how to track denials, improve the work processes and measure improvement. “Stop Denials in Their Tracks: Get Paid the First Time by Health Care Insurers” meets the criteria of the Professional Association of Health Care Office Management and is approved for 1.0 CEU(s). The American Medical Billing Association (AMBA) will award 1 CMRS CEU for participation in this webinar. You can download the Kareo Denials Webinar Handout for the webinar now. Question-and-Answer Session — Ask your tough questions and get answers to your current concerns about how to assess, manage and reduce denials. Private practice owners, office managers, billing managers, billers, billing service owners and others concerned about reducing denials and bringing more to the bottom line. Betsy Nicoletti is the author of The Field Guide to Physician Coding and the 2007 Physician Auditing Workbook, as well as founder of Codapedia.com. She developed The Accurate Coding System to help doctors get paid for the work they do. She simplifies complex coding rules for practitioners and engages physicians in a positive and respectful way, which encourages attention and accuracy in their coding. Besides doing auditing and compliance work, she is a speaker, writer and consultant in coding education, billing and accounts receivable. Betsy holds a Masters of Science in Organization and Management from Antioch, New England, and has worked in and around physician offices for over 20 years. She became a certified coder in 1999. Betsy is a member of the National Speakers Association, the Medical Group Management Association and the Healthcare Financial Management Association. In my introductory post, Is Your Practice Bleeding, I called out the unfortunate truth that many practices are losing money—often unbeknownst to them. There are several factors contributing to loss in practices today, including petty theft, stealing, and embezzlement. Typically, the symptoms are present, with a trail that is relatively easy to follow. However, oftentimes there are not enough controls in place, a lack of supervision, and minimal accountability for the culprits. This leads to temptations that staff members sometimes can’t resist. The problem is twofold: practices create the temptation, and staff members choose to do the wrong thing—often due to stress that compromises their values and decision-making. While a practice can’t act on behalf of the staff member, nor reduce the stress in their personal life, it can protect itself, and ultimately the staff member to some degree, by implementing the proper control measures. Let me emphasize, if an employee resembles these characteristics, it does not mean they are doing anything wrong. However, these are common characteristics of someone who may be involved in stealing or embezzlement activity. There are ways to mitigate medical practice theft, starting with controls and visibility, which I’ll cover in my next post. Thom Schildmeyer is co-founder and president of Aesyntix Health, Inc. , which provides revenue cycle management and procurement cycle management (GPO) to physicians. When it comes to injuries, it often seems that physicians and coders are speaking in different languages. Physicians are speaking in English and coders are speaking in—well—code. Why aren’t “dog bite” or “fall” sufficient diagnosis codes? Diagnosis coding rules require that when medical practices submit a claim for an injury, the injury itself (laceration, contusion, fracture, sprain) be listed first and the cause of the injury (dog bite, fall) be listed second. These causes, called “external causes” in ICD-9, begin with the letter E. E codes may never be used in the first position on the claim form. Use the physical injury first and the cause second. In ICD-9, E codes may be used with any code in the range 001-V91. The coder is instructed to use as many E codes as is necessary to describe the cause, intent and place of occurrence. They may never be a principal diagnosis, so the result of writing simply “dog bite” or “fall” will be that the claim is denied. As more providers are selecting their own ICD-9 codes in their Electronic Health Records, it is important that they understand the correct use of E codes, and that the software have an edit that will stop the claim before submission if the E code is used alone, or is first. What if an injury ICD-9 code is submitted without a cause? That is, “contusion” without “fall”? Most payers will deny or suspend the claim, and ask for more information. What if “fall” is submitted without “contusion”? The denial reason will be something like this: “Principal diagnosis: invalid; must not be an external cause of injury code.” Correctly submitting the diagnosis codes when the claim is submitted the first time can speed payments and prevent the need to handle the claim a second time. These codes are frequently used in emergency departments and urgent care centers, but are also used for visits to patients in nursing homes and in primary care offices, orthopedics and for chiropractic services. Although the timeline for ICD-10 implementation is in question, when medical practices do adopt it, coding for injuries will require this same format in addition to seventh digit extenders for injury codes. This seventh digit will indicate whether it was the initial encounter for this injury, a subsequent encounter or a long term after-effect. In addition, the practice will need to report the external cause of the injury at every visit for that condition. The first time the clinician sees the patient for that injury, the practice will need to report three additional occurrence cause codes. These external cause codes will indicate the place of occurrence, the activity the patient was engaged in and identify the patient (military, civilian, etc). For now, medical groups that treat injuries should review the use of E codes by reading the guidelines related to the codes and reminding clinicians that they are never listed in the first place on an encounter form. Betsy Nicoletti, M.S., CPC, is the founder of Codapedia.com, a wiki for physician reimbursement. She is a nationally known speaker and consultant, and can be reached at www.mpconsulting.org. One of my friends, a 60-year-old dermatologist in a medium-sized town with a great patient following and deep roots in the community, recently shared an unfortunate story with me. While spending his time working hard, practicing great medicine, and focusing on taking care of his patients and people around him, he had more than $250,000 embezzled from him—by his own “loyal and trusted” employees of 11 years. What? How can this happen? Truth be told, this provider is not alone. Unfortunately, there are many practices throughout the U.S. that are bleeding—losing money not just through blatant criminal activity such as embezzlement, but also through poor revenue cycle management (billing/collections) and procurement cycle management (purchasing). For example, at the same time my friend’s employee was writing checks to herself and making personal purchases on his practice credit card, she also was not entering charges for patients that were seen, not billing patients, not posting payments accurately, not following up for payment, not working any of the accounts receivable, and so on—to the tune of hundreds of thousands of dollars lost over an extended period of time. All this, from a “loyal and trusted” employee who worked late nights, rarely took vacation, and was essentially in charge of his business. Sadly, I’ve seen more medical practice embezzlement during our latest economic downturn, when financially stressed employees’ work ethic and decision-making are compromised. All the while, many dermatologists remain very trusting, believing that their highest paid staff who have been with them for years are watching out for the business while they focus on seeing and treating patients. While situations and dollar amounts differ, this scenario is playing out both in small communities and large cities. Even the most business-savvy providers with extensive controls in place will face some type of loss—either employees stealing time, property, and cash, or robbing the practice of money by not performing their jobs. Now, more than ever, it’s imperative that providers watch their business closely, know what questions to ask of their staff, and implement the proper controls and reports in order to identify symptoms of loss before it bleeds them out. At the same time, many providers are scratching their heads wondering how much harder they have to work to continue making what they did yesterday. With lower Medicare and insurance reimbursements, along with higher deductibles, patients are saddled with more payment responsibility when disposable incomes are decreasing. This makes it more difficult for dermatologists to collect what they’re legally owed, not to mention increased write-offs as “bad debt”—ultimately hurting the provider. Watch for future posts that will address key areas where providers are bleeding and losing cash flow that impacts their bottom line. Thom Schildmeyer is co-founder and President of Aesyntix Health, Inc., which provides revenue cycle management and procurement cycle management (GPO) to physicians. If you think being compensated fairly for your services is getting more complicated, you aren’t imagining things. Any practitioners who accept either Medicare or Medicaid need to pay careful attention to three government programs that have carrot-and-stick provisions over the years to come. That was the message from noted medical billing guru and author Elizabeth Woodcock, MBA, FACMPE, CPC during her webcast, presented on behalf of Kareo. 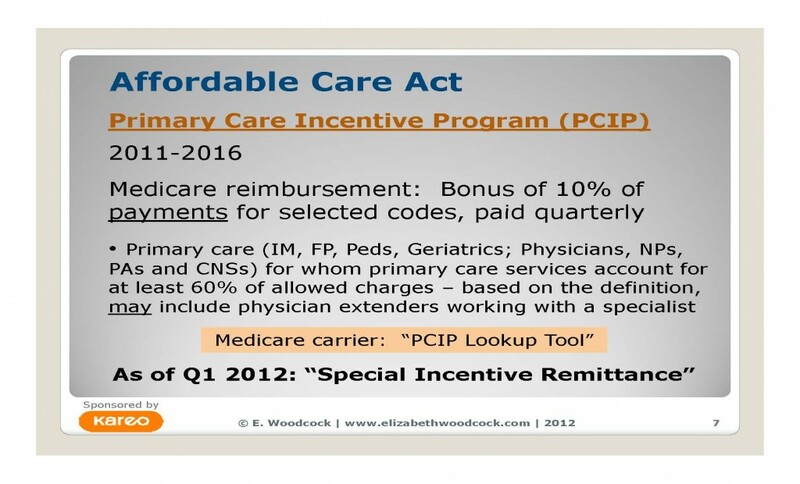 In Government Incentives for Medical Practices: Tips and Tools to Qualify, Participate and Get Paid, Elizabeth summarized programs that can help practitioners to earn additional compensation through the Affordable Care Act. 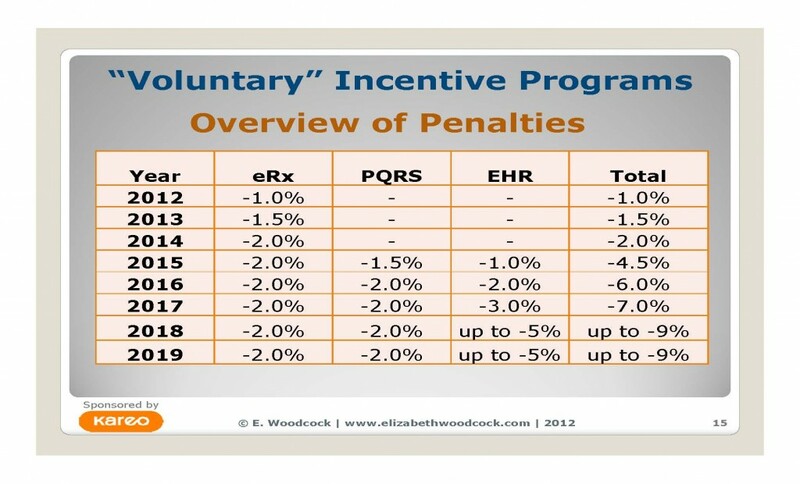 Her presentation also covered “voluntary” incentive programs that carry penalties if practitioners decide not to participate. Read on for important highlights from her webinar. Participation in PQRS can earn clinicians up to a 1 percent bonus yearly if they participate in 2012, 2013 and 2014. A penalty of 1.5 percent is levied for non-participation starting in 2015 and increases to 2 percent in 2016. Physicians must decide how, what and when to report into PQRS. They also need to integrate the associated codes into their workflow. More information, including how the maintenance of certification program works into the bonus payment, can be found at https://www.cms.gov/PQRS/. The Electronic Health Record (EHR) Incentive Program is actually two separate programs with differing payouts and requirements for meaningful use of the EHR. Clinicians can only participate in one. Medicare’s program is based on fee-for-service allowed professional charges, up to an annual cap. It pays up to $44,000 over five years, and requires 90 days of meaningful use of the EHR in the initial payment year. 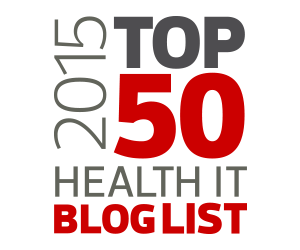 Meaningful use must be ongoing every year afterward. Medicaid’s program requires that at least 30 percent of a clinician’s patient volume must be must Medicaid insureds (20 percent for pediatricians). 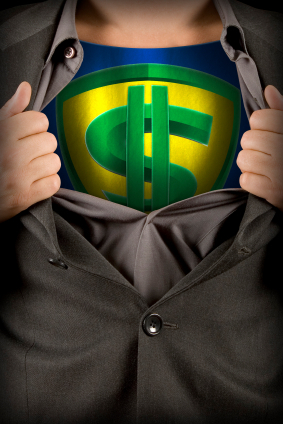 The program pays a flat bonus of up to $63,750 over six years. It does not require meaningful use in the initial payment year, only that participants engage in “adopting, implementing or upgrading” a certified EHR system. More information can be found at https://www.cms.gov/ehrincentiveprograms/. One important note: Although you must participate to avoid the penalties, you give up the eRx bonus if you are a successful participant in the EHR Incentive Program through Medicare. That doesn’t mean you can stop generating the eRX G8553 codes—the government will penalize you if you don’t participate in the eRX program, even if they are not giving you the bonus payment. Be sure you keep generating those codes, even if you are not receiving incentive payments. 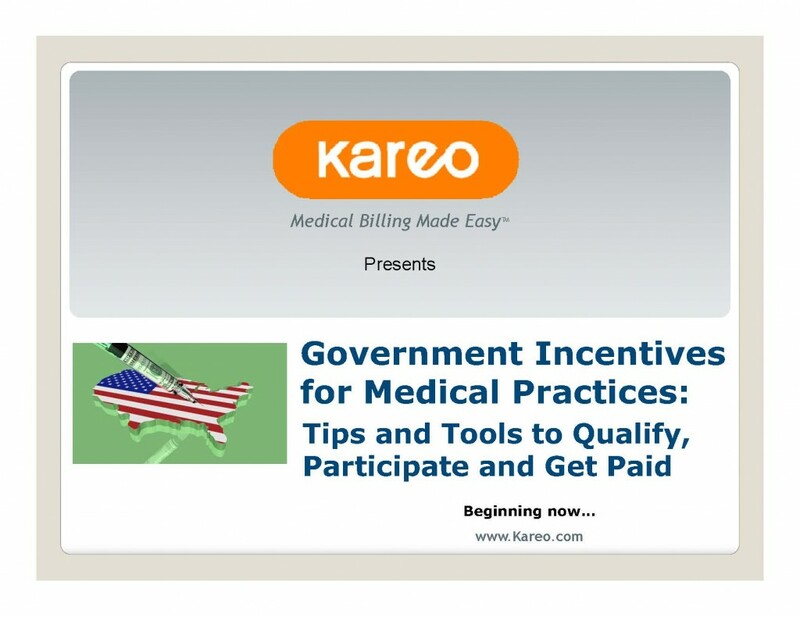 Kareo regularly sponsors timely, informative webinars such as this one to keep physicians and medical billers up to date on matters related to billing, coding, compensation and practice management. You can view our archived webinars to find more topics of interest to you. To be notified about upcoming informative webinars such as this one, join our newsletter list. Sign up now for our next webinar on Using RVUs to Improve Your Bottom Line. In a difficult reimbursement environment such as this one, it’s critical to get paid for all the billable services that you and your clinicians provide. Preventive services are one area that received short shrift in the past, but Medicare and commercial payers have just recently become more willing to pay for them. How can you ensure your medical billing capitalizes on this welcome trend? 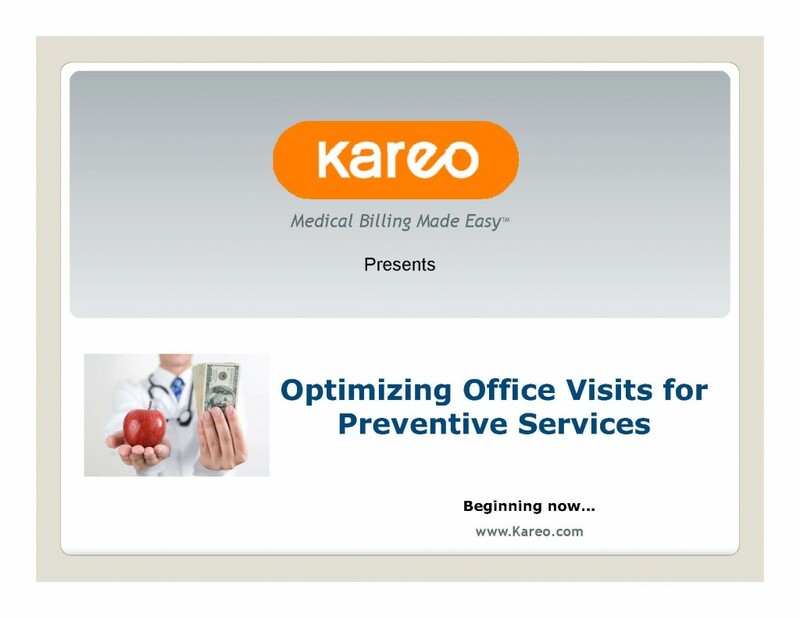 That was the subject of a recent webinar sponsored by Kareo called Optimizing Office Visits for Preventive Services. Conducted by respected coding expert and author Betsy Nicoletti, M.S., CPC, the webinar offered valuable pointers on what services are considered preventive, the Welcome to Medicare visit and the Annual Wellness Visit now being funded by Medicare. Those were covered in our first three blogs on the webinar. Are there other services you can provide and bill for the same day as a wellness visit? Yes, and our final blog here will focus on those you can get paid for in conjunction with wellness visits. Pelvic/breast exams (code G0101) are reimbursable when performed during a preventive services visit. Medicare pays for a pelvic/breast exam every year for high-risk patients, and every two years for low-risk patients. The exam must include inspection and palpation of the breast as one of 7 of 11 required elements of this type of exam. You can also bill for obtaining a screening pap smear by using code Q0091. You can also bill for a problem-oriented office visit, but none of the documentation you have collected during the wellness visit can be used to determine the level of the services you have provided during the problem-oriented visit. And smoking cessation (G0436, G0437) is billable, but be sure the time you have spent is documented in the medical record and is in addition to (not part of) the other service. In all cases, Betsy cautions coders and clinicians to be sure to include diagnosis codes. Failing to include them will trigger a denial. Be sure to link the diagnosis to the service for which you are billing. While Medicare is now paying for some behavioral health services, the reimbursement is minimal. But clinicians can provide alcohol misuse screening and counseling, as well as screen for depression, and receive some reimbursement for it. These services must be provided in a primary care setting. Obesity counseling is also allowed weekly for one month, biweekly for months two through six and monthly if the patient has lost 3 kg in weeks seven through twelve. Unfortunately, vaccinations are only covered as part of a Medicare patient’s pharmacy benefit—not under Medicare Part B—and are therefore not a source of revenue for clinicians administering them. If you are on the fence when it comes to deciding if you want to provide preventive services, remember that CMS believes it will help keep patients healthy and Medicare patients will expect to take advantage of them. They can be a source of revenue for your practice if you know the requirements for each type of service and schedule the right type of visit up front. It’s costly when a patient believes they are in the office for a wellness visit and your staff has opened the template for a problem-oriented visit. Be sure to develop or use forms from specialty societies that meet the requirements. Remember, if you have the correct process in place, you can provide a valuable service to your patients and get paid for doing it. Kareo regularly sponsors informative webinars such as this one on a variety of timely topics. From maximizing cash flow to managing the transition to ICD-10, you can take advantage of our valuable knowledgebase free of charge. If you would like to find information on any other topics of interest, feel free to check our webinar archive. Register now for our next educational webinar, Using RVUs to Improve Your Bottom Line, and learn how to maximize your revenue using this valuable tool. ICD-10 Delay – What Do We Do Now? What if every air traveler coming to the US had to transfer to an antique aircraft before entering American airspace because our systems were not compatible internationally? As we continue to use ICD-9 in an ICD-10 world, coding of contemporary health data presents a similar dilemma. ICD-10 expands by thousands the number of medical diagnosis and in-patient procedure codes used for clinical, billing, and financial systems of healthcare providers, payers, and other covered entities, thereby allowing much greater specificity in coding and later research. The U.S. is the last major country in the world that has not yet fully implemented ICD-10. On April 9, 2011, Health and Human Services proposed a shift in its deadline for implementation of ICD-10 from October 1, 2013 to October 1, 2014. (Note: Comments on the proposed rule that would delay the compliance date for ICD-10 from 2013 to 2014 are due to HHS no later than 5 p.m. eastern time May 17.) This is the second time in three years that HHS has delayed its implementation of the new code sets. And as of Tuesday, the AMA is urging CMS to further extend the ICD-10 deadline at a minimum to Oct. 1, 2015. While some may bemoan the high costs for conversion to ICD-10, most understand that the conversion must happen. ICD-9 has been in use since the mid-1970s and was not designed for the current medical/technological environment. Implementation of ICD-10 will bring greater coding accuracy, higher quality health information and even better care. We may be further along than many think. In a recent poll sponsored by the ICD-10 Watch blog, only 5% of respondents said that they need the additional year to implement ICD-10. A heartening 82% of all respondents said that they could use the extension but feel that they would have made the 2013 deadline. Only 9% stated that they need two more years to finish conversion. So what’s the bottom line? Don’t let the new deadline allow you to put off your ICD-10 implementation work. Kareo encourages you to think ahead and plan for the ICD-10 transition on October 1, 2014. My Receivables Are Growing: Time for a New Billing Service? Are you collecting deductibles – or billing for them? Funny how these “I need a new biller!” calls tend to come more frequently in the beginning of the year – when patients’ deductibles are reset, and patients will be responsible for your entire allowed revenue in many cases. Too often, practices just get into the habit of billing for these amounts, instead of collecting at time of service – usually because “that’s how we’ve always done it.” Once you decide to bill the amount instead of collecting it, you’ve significantly reduced the likelihood it will be paid promptly – and introduced the possibility you won’t get paid at all. Are patients prepped for payment at visit time? Patients who arrive at the practice without being forewarned about what they’ll be expected to pay are much more likely to request that they be billed – and then to be angry or confused when they receive the bill so many weeks later. Work with payers to determine patient responsibility before the patient’s appointment, and then let patients know what they’ll be expected to pay when you make their reminder call – including clearing of past-due balances, if any. Are you making it easy for patients to pay? If a patient has a high deductible or large balance, or is about to undergo an expensive procedure, paying in full by check at the time of service may be impossible. Be sure you accept all major credit cards to make it easy for patients to pay when cash is short (this way, they’ll make their payments to their credit card company – and your staff won’t have to become collectors). Investigate specialty lending options for patients for significant expenses like elective surgeries. Are your office staff members aware that billing starts with them? Too often, compartmentalized job responsibilities obscure the contribution everyone in the practice should be making to bringing revenue in the door. With about a third of most practices’ total revenue now due from patients, today’s revenue cycle is about more than just third-party billing. Make sure your front desk staff, in particular, understands that the practice is entitled to be paid for its services – asking for payment at the time-of-service is nothing to feel awkward or embarrassed about. A weekly audit of superbills can be a great tool to assess front-desk consistency in collecting from patients – if they’re not doing so close to 100% of the time, corrective action is needed. 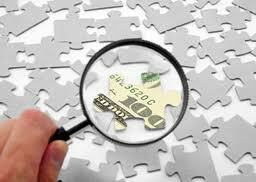 For insurance-side receivables, are you seeing patterns? If reimbursement revenue is slowing, it’s helpful to analyze whether it’s happening across the board – or if a single payer is causing the bulk of the problem. If repeated denials and appeals are to blame, is a repeated coding or documentation error occurring? And if a payer is becoming increasingly difficult, your biller may need to request a new support contact at the payer – and, if the relationship and reimbursement reliability can’t be improved, you may eventually need to consider whether to renew your contract with a difficult payer. Laurie Morgan is a management consultant with Capko & Company. She specializes in marketing, management and technology for medical practices and blogs about practice management issues at www.capko.com/blog. Laurie has a BA in Economics from Brown University and an MBA from Stanford. Laurie recently wrote for Getting Paid on Hidden Ways Medical Billing Shortcomings Hurt Your Practice and Keeping Tabs on Payer Contracts – Good for Your Practice and Your Patients, Too. In a grim reimbursement environment where payors always seem to be ratcheting down their contracted allowable payments, any new opportunities for extra cash flow are welcome. 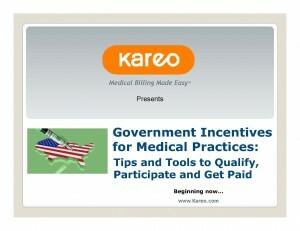 In a recent webinar sponsored by Kareo entitled Government Incentives for Medical Practices: Tips and Tools to Qualify, Participate and Get Paid, leading practice management expert and author Elizabeth Woodcock, MBA, FACMPE, CPC provided just that: ways practitioners can earn additional reimbursement through the affordable care act and “voluntary” incentive programs. This post will highlight the information Elizabeth presented on reimbursement opportunities under the Affordable Care Act. Check back soon for her important and timely summary on “voluntary” incentive programs, and how you might actually be penalized if you do not participate. Under the Affordable Care Act’s Primary Care Incentive Program (PCIP), certain practitioners are being paid a quarterly bonus of 10% of payments for selected codes by Medicare. As the name indicates, it primarily benefits primary care practitioners from specialties such as internal medicine, family practice, and geriatrics as well as nurse practitioners, physician assistants and clinical nurse specialists for whom primary care services account for at least 60% of allowed charges. The program runs from 2011-2016 and most practices would have received their first payment around April of last year. These payments are being made automatically and starting in the first quarter of 2012, will come as a “special incentive remittance” to more easily identify them. If you feel you qualify but have not received any payments, you can check your Medicare carrier’s website to see if your primary care provider is listed under the “PCIP Lookup Tool.” If not, you have the right to appeal in order to be included in the PCIP. General surgeons in Healthcare Professional Shortage Areas are also receiving an extra payment for performing major surgical procedures. The program, the HPSA Surgical Incentive Payment (HSIP), also runs from 2011 to 2016. Then in 2013, a new program is being introduced: Medicare/Medicaid Rate Parity. For 24 months, primary care providers accepting Medicaid for evaluation and management services and vaccines are guaranteed to be paid at or equal to Medicare’s current rates. This will be a boon for many primary care practitioners who in the past, may have been paid as little as one-third of Medicare rates for the same service. Overall, the current ratio of Medicaid to Medicare is .66, so many primary care physicians will benefit when this program begins in 2013. And finally, Elizabeth presented an overview of preventive services now being paid for by Medicare. 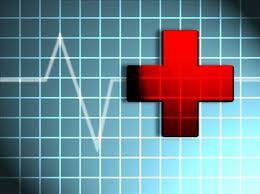 Annual wellness visits are now covered, and they must include a health risk assessment as of January 2012. Other wellness services that are covered include an annual face-to-face obesity screening, annual screening and brief-face-to-face behavioral counseling for alcohol misuse, an annual depression screening, and bi-annual intensive behavioral therapy for cardiovascular disease. We recently covered these services and accompanying codes in a previous webinar entitled Optimizing Office Visits for Preventive Services. You can view all of our archived webinars to find more topics of interest to you. To receive notification of upcoming informative webinars such as this one, subscribe to our newsletter list. You can also register now for our upcoming webinar on Using RVUs to Improve Your Bottom Line. Welcome to Getting Paid, a weblog by Kareo offering ideas, news and opinions about medical billing and practice management with the goal of making medical billing easier and yes, getting you paid. Visit the Product Blog for more information on our products. Simplify the daily essential tasks of your medical office from patient records, to scheduling and more. Improve patient care with electronic charting, electronic prescribing and medical labs interfaces. Streamline your entire medical billing and collections process from charge entry to reporting. Integrated electronic claims, electronic remittance advice and insurance eligibility services.